The SLSWF was established in 2000 by the SLPC. Based on the Love of Jesus Christ and preventive care perspective. We link community resources to build Day-to-day care system and offer services throughout the community. Therefore, we provide care from community to home care. With support from the government, businesses and other organizations, we hope to build on friendly community, care for disadvantaged families. At present, there are two social welfare centers in North coast and Xinzhuanag. In addition, we also contract to three public elderly care centers Of New Taipei City. 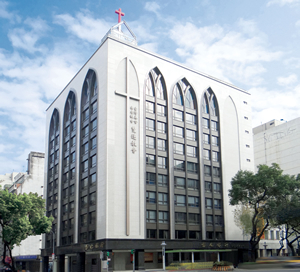 Through the Social Welfare Foundation, the Church brings love and caring into the homes of the people who needs, because of the Jesus’ Love, establishing good relations with the community residents and making the people willing to take the initiative to enter our social welfare centers and into the church.